Transmission: Automatic Color:Green Interior Color: White Average Vehicle Review: (4.582 reviews) I have been looking for a SUV for the harsh winter months in CT. The ford escape met all my requirements and more. 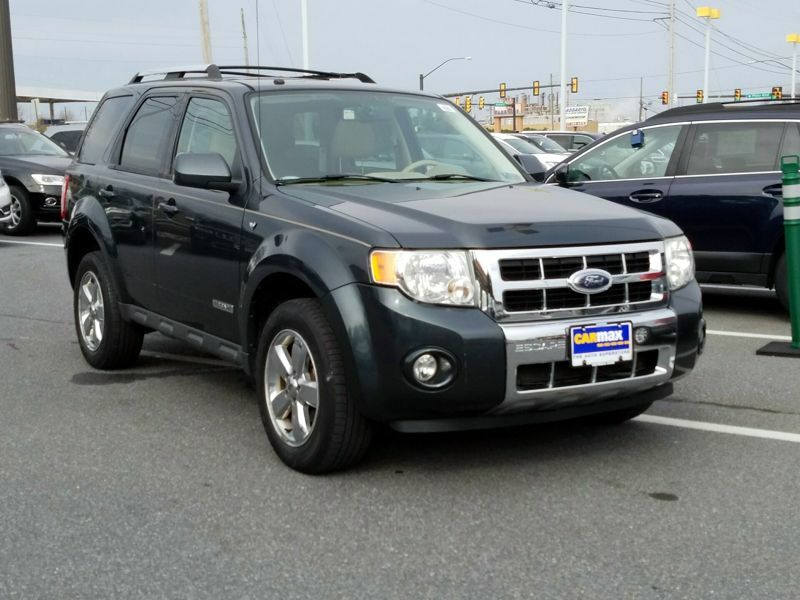 I recently turned in my 6cyl Ford Sporttrac lease and decided to purchase a 4cyl Ford Escape. So far I have not regretted my decision. I'm saving on gas and my kids love to ride in this Ford Escape. Would reccommend to anyone that does not need the horsepower over saving fuel cost. I am loving my Ford Escape. It has everything I ever wanted in a car. It rides well and gets great gas mileage. I am enjoying the Moonroof and leather seats. It looks like a brand new car. I plan on keeping this car for a very long time. There isn't much I DON'T like about this smooth-driving, comfortable SUV. It has ample seat adjustments so as a smaller person, I'm able to "dial it in" to the best possible postion. I can see well in it and it's got some power so it's got pick up when I need it. It gets decent gas mileage and feels very solid when driving. The only thing I've found that I wish was different is the lack of clothes racks in the back seats. There's no place to hang a set of clothes ... other than that, I love the car and would recommend it to anyone!